College football gamblers are three weeks away from wagering on the 2016 NCAA Bowl schedule and start of the college football playoffs. There are plenty of key games receiving a significant amount of betting action this afternoon. Use the resources available at the Sportsbook Review network to make your weekend a winning one. Track all college football live odds and scores using SBR Odds. See the opening line plus a complete chronological view of line history. For instance, #1 Alabama was opened at betting sites as a -20 point favorite vs. #13 Auburn but is now trading around -18.5. 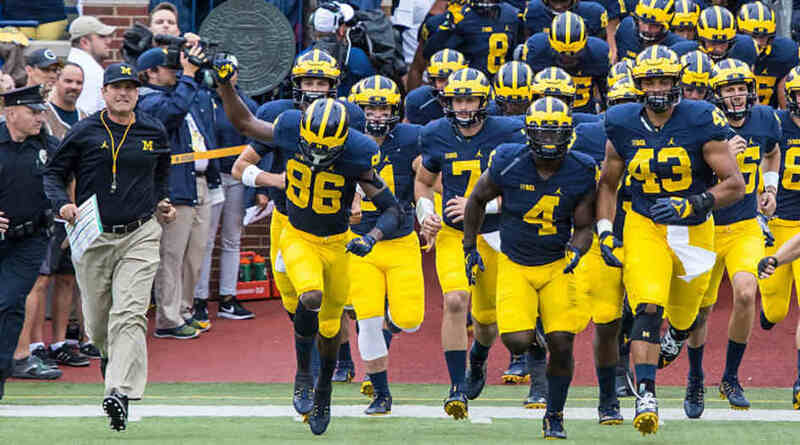 View the Michigan vs. Ohio State matchup data as well as stats on all college football games this Saturday by clicking on the team names using the SBR Odds grid. Read the opinions of noted SBR Picks handicappers at the college football page. To read what like-minded online sports bettors have to say about this NCAAF betting card swing by the college football betting forum. Sportsbook Review cautions players to remember that before placing a sports bet it is worth verifying that your sportsbook of choice is honorable with payouts and maintains a solid SBR rating. View all bookmaker ratings.